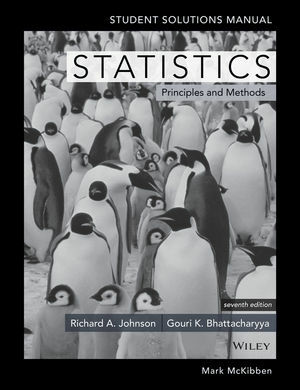 This is the student solutions manual to accompany Statistics. 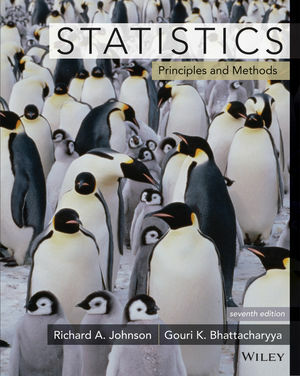 Johnson/Bhattacharyya is unique in its clarity of exposition while maintaining the mathematical correctness of its explanations. Many other books that claim to be easier to understand often sacrifice mathematical rigor. In contrast, Johnson/ Bhattacharyya maintain a focus on accuracy without getting bogged down in unnecessary details. RICHARD A. JOHNSON, Professor of Statistics at The University of Wisconsin, Madison, received his Ph.D. from the University of Minnesota in 1966. He has been at the University of Wisconsin since 1966, except for a one-semester visiting position at the University of Oslo in 1972. Dr. Johnson is an Associate Editor of the Journal of the American Statistical Association and the Secretary-Treasurer of the Madison Chapter of ASA, and Associate Program Secretary of the Institute of Mathematical Statistics.